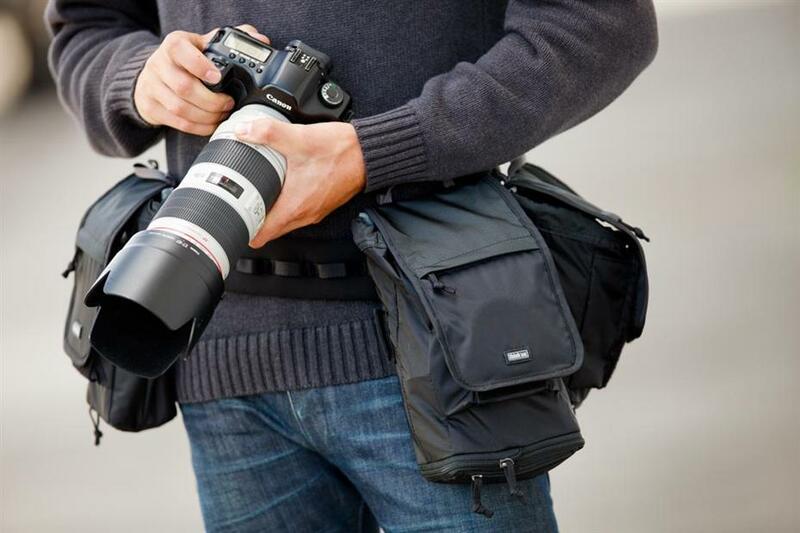 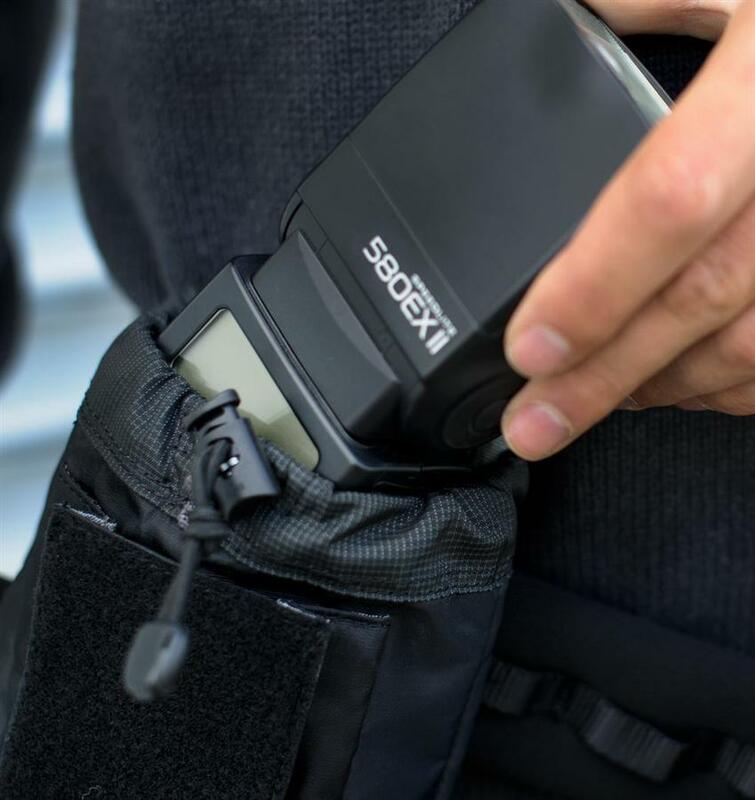 Skin™ Strobe V2.0 pouch is small and lightweight, designed to fit pro-size SLR flashes / strobes. 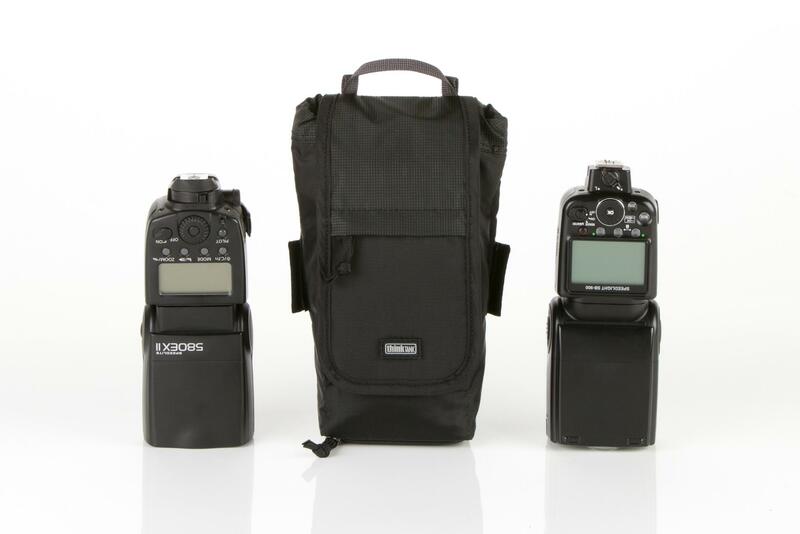 You can fit a Canon 580EXII or Nikon SB-900 with a standard diffuser in place. 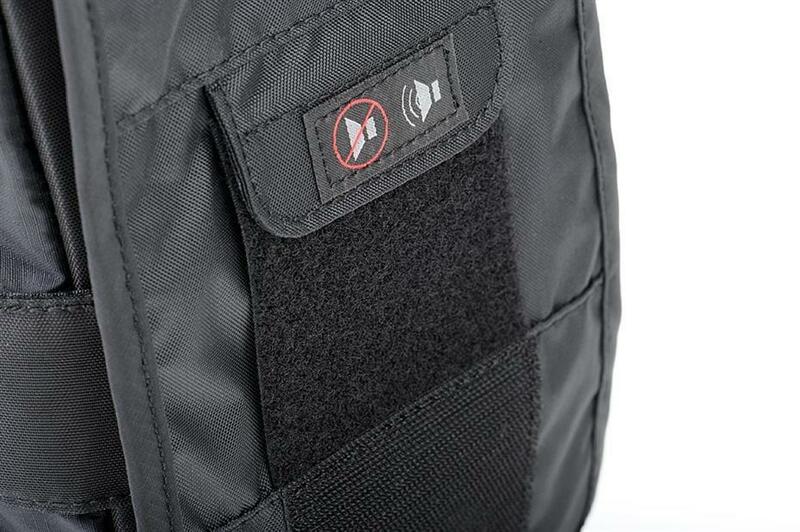 The front pocket provides space for additional batteries or accessories.